The histopathological characteristics of Alzheimer’s disease (AD) are amyloid-β (Aβ) containing plaques and neurofibrillary tangles (NFTs) as well as neuronal and synaptic loss. Until today, the underlying mechanisms of the interplay of plaques and tangles remained unresolved. There is increasing evidence that mitochondrial dysfunction might be a possible link, as revealed by studies in several APP and tau transgenic mouse models. Recently, we examined mitochondrial function in a novel triple transgenic mouse model (pR5/APP/PS2)—tripleAD mice—that combines both pathologic features of the disease in brain. Using comparative, quantitative proteomics (iTRAQ) and mass spectroscopy, we found a massive deregulation of 24 proteins, of which one third were mitochondrial proteins mainly related to complexes I and IV of the oxidative phosphorylation system (OXPHOS). Remarkably, deregulation of complex I was related to tau, whereas deregulation of complex IV was Aβ dependent, both at the protein and activity levels. The tripleAD mice showed synergistic effects of Aβ and tau already at the age of 8 months, resulting in a depolarized mitochondrial membrane potential. At 12 months, the strongest defects on OXPHOS, synthesis of ATP and reactive oxygen species, were exhibited in the tripleAD mice, again emphasizing synergistic, age-associated effects of Aβ and tau in impairing mitochondria. This review highlights the convergence of Aβ and tau on mitochondria and establishes a molecular link in AD pathology in vivo. Alzheimer’s disease (AD) is the most common neurodegenerative disorder affecting around 15 million people worldwide. Because of the increase in life expectancy already for 2020, the number of cases will rise to about 30 million people worldwide. Although the hallmark lesions of the disease were described by Alois Alzheimer already in 1906—extracellular amyloid plaques mainly composed of Aβ and intracellular neurofibrillary tangles (NFTs) built up of hyperphosphorylated tau—the molecular mechanisms underlying the disease are still unknown. However, more recently, energy deficiency and mitochondrial dysfunction have been recognized as a prominent, early event in AD [1, 2, 3, 4, 5, 6, 7, 8, 9, 10, 11]. The successful development of single, double, and recently triple transgenic mouse models that mimic diverse aspects of the disease facilitated the investigation of pathogenic mechanisms in AD and assisted in an understanding of the interplay of Aβ and tau on bioenergetic processes in vivo [12, 13]. In 1995, Games and co-workers established the first Aβ plaque-forming mouse model that expressed high levels of the disease-linked V717F mutant form of APP in the brain . These PD-APP mice (PDGF-β promotor) showed many pathological features of AD, including extensive deposition of extracellular amyloid plaques, astrocytosis, and neuritic dystrophy . Subsequently, several APP-based transgenic models have been developed [15, 16, 17, 18, 19] that were helpful in addressing aspects of Aβ toxicity and age-dependent cognitive decline as well as testing therapies like vaccination trials [20, 21]. Finally, the discovery of FAD mutations in the presenilin-encoding PSEN genes which affect APP processing opened the path for PS1 and PS2 transgenic mouse models, which were subsequently used to establish double transgenic APP/PSEN mouse models . Also in 1995, Götz and colleagues established the first tau transgenic mouse model, expressing a wild-type form of the longest human brain tau isoform hTau40 (441 amino acids), using the hThy1 promoter for neuronal expression . Despite the lack of NFT pathology, these mice modeled selected aspects of human AD, such as the somatodendritic localization of hyperphosphorylated tau and, therefore, represented an early “pre-NFTs” phenotype. Once the first pathogenic mutations were identified in the MAPT gene in a familial form of frontotemporal dementia (FTD), FTDP-17, in 1998, several groups expressed mutant forms of MAPT to achieve a more advanced pathology. For example, P301L tau expressing pR5 mice (longest four-repeat (4R2N) tau together with the P301L mutation) develop aggregated forms of hyperphosphorylated tau and NFTs [23, 24, 25, 26]. Moreover, these mice showed age-related behavioral impairment in amygdala- and hippocampus-dependent tasks which could be correlated with the aggregation pattern of the transgene [27, 28]. Conventional transgenic mouse models for the APP- and tau-related pathologies reproduce only some selected aspects of the human disease. Therefore, in 2001 two new approaches were pursued to allow studying the synergistic effects of both histopathological hallmarks. The group of Mike Hutton generated a double transgenic mouse model by crossing P301L mutant tau transgenic JNPL3 mice (shortest four-repeat (4R0N) tau together with the P301L mutation) with APPsw transgenic Tg2576 mice (KM670/671NL) . The resulting TAPP mice showed detectable NFTs as early as 3 months of age in both the spinal cord and pons. These were consistently present and numerous as the mice aged, especially in limbic areas of (9–11 months old) female mice. Amyloid plaques were evident as early as 6 months of age, similar in morphology, distribution, and density to those in the parental Tg2576 strain. As an indication for the role of APP or Aβ on NFT formation, the double transgenic TAPP mice showed substantially enhanced tau pathology in the limbic system and olfactory cortex as compared to the single transgenic tau mice . An interaction of Aβ and tau pathology was also shown by Götz and colleagues, by injecting synthetic Aβ1–42 fibrils into brains of P301L tau transgenic pR5 mice . This led to a 5-fold increase in NFT pathology in 6-month-old mice already 18 days after injection. Data from our group could confirm a synergistic effect of Aβ and tau on mitochondrial function when cortical brain cells of P301L tau transgenic pR5 mice were treated with different Aβ1–42 conformations . Not only synthetic Aβ induces an increase in tau pathology, as the injection of diluted brain extract from aged APP23 transgenic mice (expressing the KM670/671NL mutant APP) into the cerebellum of young B6/P301L tau transgenic mice (obtained through backcrossing the JNPL3 mice with C57BL/6J mice) also shows an effect . This treatment leads to an induction of tau pathology at the injection site, but interestingly also in areas with a neuronal projection such as the entorhinal cortex and the amygdala. Additionally, in double transgenic APPxTau mice, a neurofibrillary pathology was induced in vivo . Recently, the work from Clavaguera and colleagues showed that the injection of brain extracts from P301S mice (expressing the shortest four-repeat tau isoform bearing the P301S mutation) into brains of wild-type human tau transgenic ALZ17 mice caused the assembly of wild-type human tau into filaments . In contrast, mouse lines that express wild-type tau (such as the ALZ17 strain) do normally not produce tau filaments nor do they show neurodegeneration [33, 34]. Interestingly, it seems that the tau pathology has been transmitted as a spreading of tau pathology was found from the site of injection to neighboring brain regions . The fact that mutations in the PSEN1 and 2 genes affect APP processing was utilized to develop triple AD models that combine an enhanced Aβ and tau pathology in one model [35, 36, 37]. Moreover, recent studies found an active PS2-containing γ-secretase complex in mitochondria  and the knockout of PS2 impaired mitochondrial functionality by reducing mitochondrial membrane potential and lowering the basal respiratory rate . The first triple AD mouse model (3xTg-AD) was generated 2003 by LaFerla and colleagues, harboring the PS1 M146V mutation and co-expressing mutant tau (P301L) as well as APPsw (KM670/671NL) . This model, which exhibits plaques and tangles, shows behavioral and neuronal symptoms of AD including synaptic dysfunction and LTP deficits [40, 41]. Recently, another triple transgenic mouse model which co-expresses mutant tau (P301L), PS2 (N141I), and APPsw (KM670/671NL) was established, first termed TauPS2APP triple  and subsequently triple AD transgenic mice . The tripleAD mice develop tau and amyloid deposits in an age-dependent manner. . At the age of 4 months, tau accumulation was detected within the subiculum and the CA1 region, where most amyloid deposits were found. At 8 months, the number of amyloid plaques and intracellular tau deposits increased considerably within the subiculum and the CA1 region while rare amyloid plaques as well as few tau deposits appeared in the M1/M2 and somatosensory cortex. While tau phosphorylated at pT231 was already present at high levels in tripleAD mice at 4 months of age, but with almost unchanged levels over the next 12 months, tau phosphorylated at pS422 was barely detectable at 4 months, but levels increased roughly 10-fold at an age of 16 months. Of note, this suggests that accumulation of Aβ in tripleAD mice impacts on tau pathology by increasing the phosphorylation of tau at S422, but not at T231 . In contrast, the 3xTg-AD model did not exhibit conformational changes of tau or immunoreactivity with phospho-specific tau markers before the age of 12 months [35, 40]. Finally, NFT pathology was reported in 16-month-old tripleAD mice and, relatively late, at the age of 18–24 months in the 3xTg-AD model [35, 41]. Furthermore, tripleAD mice show impaired spatial learning already at 4 months of age . Similarly, cognitive impairment manifested in 3xTg-AD mice at 4–6 months of age [41, 42]. However, a molecular link between Aβ and tau protein in AD pathology was still missing in vivo. The tripleAD model is therefore particularly suited to study the relationship between Aβ and tau in an age-related way. Moreover, resulting from crossing PS2APP mice with P301Ltau transgenic pR5 mice, the tripleAD model offers the advantage of analyzing tau and Aβ pathology together and separately, while this is not possible in the 3xTg-AD mice generated by co-injection of DNA. It has been shown in the tripleAD model that Aβ accumulation leads to the development of tau phosphorylation at the specific AD-epitope Ser422 . Although the mice do not develop extensive neuronal loss or pronounced cognitive deficits, the progression of biochemical changes and histopathological features is reminiscent of the pathogenic progress observed in AD. Consequently, this model may be very useful for assessing therapeutic interventions addressing amyloidoses and/or tau pathology. Importantly, behavioral deficits are present before the detection of any protein aggregates which is especially meaningful considering the paradigm of early mitochondrial dysfunction reported in AD . Early energy dysfunction characterized by a decreased mitochondrial membrane potential, ATP level, and complex IV activity has been reported for 3- and 6-month-old APP transgenic mice (APP; Swedish (KM670/671NL) and London (V717I) mutation) . These mice showed also increased levels of 4-hydroxynonenal, a marker of lipid oxidation, and reduced activity of Cu/Zn superoxide dismutase . Interestingly, mitochondrial defects such as the decrease of complex IV activity in 3-month-old APP transgenic mice were already observed in the absence of plaques but in the presence of increased Aβ levels in brain [9, 44]. Furthermore, an age-dependent impairment of oxygen consumption such as a decrease of state 3 and uncoupled respiration were observed in APP transgenic mice compared to aged-matched controls [9, 45, 46]. In addition, APP/PS1 transgenic mice, which in contrast to APP transgenic mice exhibit Aβ plaques already at an age of 3 months, presented stronger reductions in mitochondrial membrane potential and ATP levels compared to aged-matched APP transgenic mice. Consequently, Aβ-dependent mitochondrial dysfunction starts already at a very young age and accelerates substantially with increasing age as does Aβ plaque load . Moreover, a mitochondrial accumulation of Aβ has been shown in AD and APP transgenic mouse brain [3, 45, 47]. In transgenic APP mice expressing APP V717/F and the APPsw mutation, mitochondrial Aβ accumulation increased at around 4 months of age, well before the formation of plaques . Taken together, these findings are in line with the recently proposed hypothesis of an intracellular Aβ toxicity cascade which suggests that the toxic Aβ species intervening in molecular and biochemical abnormalities may be intracellular oligomeric aggregates instead of extracellular, insoluble plaques [3, 48]. The involvement of mitochondria in the pathogenic pathway of Aβ was confirmed by specific binding of Aβ and APP to mitochondrial proteins which causes energy impairment and cell physiology defects. Firstly, Aβ specifically binds to the mitochondrial Aβ-binding alcohol dehydrogenase (ABAD) , a mitochondrial matrix protein which is up-regulated in the temporal lobe of AD patients as well as in APP transgenic mice [49, 50, 51]. The Aβ–ABAD interaction caused elevated reactive oxygen species (ROS) production, cell death as well as spatial learning and memory deficits in 5-month-old APP/ABAD double transgenic mice. The investigation of the crystal structure of ABAD–Aβ demonstrated that the formation of the complex prevents the binding of NAD+ to ABAD, thereby changing mitochondrial membrane permeability  and reducing the activities of respiratory enzymes  which then may lead to mitochondrial failure. Secondly, mitochondrial Aβ may interact with cyclophilin D (CypD), an integral part of the mitochondrial permeability transition pore (mPTP) which potentiates free radical production, causes synaptic failure, and promotes opening of the mPTP leading to apoptosis . Finally, the group of Anandatheerthavarada observed an accumulation of APP in mitochondrial membranes leading to mitochondrial dysfunction in neuronal cells of APP transgenic mice (Tg2576) [54, 55]. The development of sophisticated proteomic methods allowed the examination of synaptosomal fractions from APP transgenic mice (Tg2576) and revealed a massive neuronal decay and synapse loss as the final consequence from all pathological changes occurring in AD . Additional studies revealed significant differences in mitochondrial hsp70 and protein subunit composition of respiratory chain complexes I and III in this transgenic mouse model . Finally, the critical role of mitochondria in the early pathogenesis of AD may make them attractive as a preferential target for treatment strategies such as antioxidants. Transgenic mice modeling some pathological aspects are hence very valuable in monitoring therapeutic interventions at the mitochondrial level. In agreement, recent data suggest that natural plant antioxidants such as a standardized Ginkgo biloba extract or the green tea component epigallocatechin-3-gallate may be promising treatment strategies. In addition to their anti-oxidative properties, these compounds stabilize mitochondrial functions such as the mitochondrial membrane potential, ATP levels, and mitochondrial respiratory complexes [57, 58, 59]. Moreover, in APP transgenic mouse models, an anti-amyloidogenic effect of these compounds was reported by inhibiting amyloid fibril formation either by a direct interaction with Aβ [60, 61] or by activating the α-secretase pathway . In view of the increasing interest in mitochondrial protection as a treatment strategy in dementia, the findings of a substantial protection of mitochondria by natural antioxidants against Aβ-induced dysfunction deserves further attention. Mitochondrial defects in AD are in agreement with the axon transport failure hypothesis. Hyperphosphorylated tau may block the transport of mitochondria leading to energy deprivation and oxidative stress at the synapse as well as to neurodegeneration [63, 64, 65, 66]. Transgenic pR5 mice overexpressing the P301L mutant human tau protein exhibit an accumulation of hyperphosphorylated tau and develop NFTs . A mass-spectrometric analysis of the brain proteins from these mice revealed deregulation of mitochondrial respiratory chain complex components (including complex V), antioxidant enzymes, and synaptic proteins . Functional analysis showed mitochondrial dysfunction in pR5 mice together with a reduced complex I activity and, with age, impaired mitochondrial respiration and ATP synthesis. Mitochondrial dysfunction was associated with higher levels of ROS in aged pR5 mice. Increased tau pathology as in aged homozygous pR5 mice revealed modified lipid peroxidation levels and up-regulation of antioxidant enzymes in response to oxidative stress . These findings demonstrated for the first time that not only the Aβ but also the tau pathology acts on the enzyme metabolism of the brain and the oxidative conditions in AD. One mechanism proposed is that tau accumulation could have direct repercussions on the mitochondria as the accumulation of increasingly insoluble ATP synthase α-chain together with NFTs has been shown in AD brains . Interestingly, the deleterious effect of tau on mitochondria may be reciprocal as mitochondrial stress led to tau hyperphosphorylation in a mouse model lacking the detoxifying enzyme superoxide dismutase 2 (Sod2−/−) . Furthermore, the inhibition of complex I with annonacin led beside a concentration-dependent decrease of ATP levels to a redistribution of tau from the axons to the cell body as well as a retrograde transport of mitochondria and finally to cell death . Although Aβ and tau pathologies are both common features in AD, it is still inexplicable how they relate to each other. However, a close relationship between mitochondrial failure and Aβ on the one hand and tau on the other hand has been demonstrated. Therefore, could mitochondria be the point of convergence of the two unquestionable pathologic hallmarks of the disease? Aβ aggregates and hyperphosphorylated tau may block the transport of mitochondria leading to bioenergetic defects and cell death [65, 71]. Moreover, elevated tau may inhibit the transport of APP into axons and dendrites, causing impaired axonal transport suggesting a linkage between tau and APP [63, 64]. The development of triple transgenic mouse models combining Aβ and tau pathologies in recent years was helpful in investigating the precise impact of both lesions on the mitochondrial respiratory machinery and energy homeostasis in vivo. Data from our group indicate that mitochondria of tau transgenic pR5 mice show increased vulnerability towards an Aβ insult in vitro [30, 67], suggesting a synergistic action of tau and Aβ pathology on mitochondria. The Aβ insult caused an increased reduction of mitochondrial membrane potential in cerebral cells of pR5 mice . Furthermore, incubation of isolated mitochondria from P301L mice with either oligomeric or fibrillar Aβ1–42 preparations resulted in a reduction of state 3 respiration and respiratory control ratio as well as uncoupled respiration. Interestingly, aging particularly increased the sensitivity of mitochondria to oligomeric Aβ1–42 insult, demonstrating that oligomeric as well as fibrillar Aβ1–42 are both toxic but exert different degrees of toxicity . To address the contribution of Aβ and tau pathologies in vivo, a new tripleAD (pR5/APP/PS2) mouse was generated . Using combinatorial transgenesis, quantitative proteomics, and functional assays, our findings support first of all that Aβ and tau act synergistically in amplifying mitochondrial respiratory deficits, mainly of complex I and IV activities. Thereby, hyperphosphorylated tau may drive a vicious cycle within the Aβ cascade. Remarkably, deregulation of complex I was related to tau, whereas deregulation of complex IV was Aβ dependent both at the protein and activity levels. The synergistic effects of Aβ and tau led already at the age of 8 months to a depolarized mitochondrial membrane potential in the tripleAD mice. Additionally, we found that age-related oxidative stress at 12 months of age may exaggerate the dysfunctional energy homeostasis and synthesis of ATP and, in turn, take part in the vicious cycle that finally leads to cell death (Fig. 1) . Our data complement those obtained in another triple transgenic mouse model 3xTg-AD (P301Ltau/APP/PS1) . Yao and colleagues described age-related bioenergetic deficits in female 3xTg-AD mice aged from 3 to 12 months . They found a decreased activity of regulatory enzymes of the OXPHOS (pyruvate dehydrogenase (PDH) and cytochrome c oxidase (COX)), increased oxidative stress, and lipid peroxidation. Most of the effects on mitochondria were seen at the age of 9 months, whereas mitochondrial respiration was significantly decreased with 12 months of age. Importantly, mitochondrial bioenergetic deficits precede the development of AD pathology in the 3xTg-AD mice. In conclusion, we discussed in this review the key role of the vital organelle, mitochondria, in the pathogenesis of AD. Specifically, mitochondrial dysfunction integrates the two indisputable hallmarks of AD, plaques and NFTs, which act independently as well as synergistically. 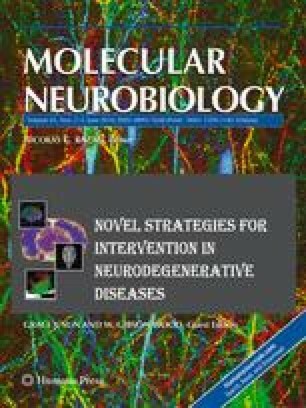 Consequently, besides the treatment and/or removal of both Aβ and tau pathology, strategies to protect cells at the mitochondrial level by stabilizing or restoring mitochondrial function or by interfering with the energy metabolism appear to be promising in treating or preventing AD. Moreover, the better understanding of the biochemical pathways by which mitochondria-protecting drugs act may not only optimize our therapeutic options but also clarify the role of mitochondria in the pathogenesis of AD. Transgenic mice and particularly triple transgenic models combining both pathologies may be very valuable in monitoring therapeutic interventions at the mitochondrial level. Eventually, this may prevent the progression of Aβ deposits and tau hyperphosphorylation at early stages of the disease.